Information Technology & Services Co. Established in 1998, Information Technology & Services Co. (ITSC) is a leading provider of electronic solutions within a wide variety of industries and fields. Meanwhile, ITSC provides software development, network management, operation management and customer service for government and private sectors. Its cooperative clients are many large state-owned enterprises such as Egypt Post and Agricultural Bank of Egypt. Over its 27-year history, Jafza has evolved into a dynamic trade catalyst ecosystem that enables business and creates new opportunities for growth. From a modest start in 1985 with just 19 companies, Jafza today flourishes as a business community with over 7,100 companies including 100 companies of the Fortune 500s. Jafza's vision, in line with the vision of His Highness Sheikh Rashid Bin Saeed Al Maktoum, is to become the leading provider of sustainable industrial and logistics infrastructure solutions. It is dedicated to its customers, employees, shareholders and community, and upholds its commitment to each one of its stakeholders. As the largest free zone in the UAE and in the Middle East, China is its largest trading partner of Jebel Ali Free Zone. The trading volume has increased from $600 million in 2000 to 9 billion in 2010 with the annual growth rate of 31.1%. The imported commodities from China to Jebel Ali Free Zone accounted for 25% of its total imported products in 2010, and the number of Chinese enterprises there also increased from 9 in 2000 to 152 in 2011, ranking 9th among all countries. Established in 1973, Jordan Free and Development Zone was once a small free zone at Aqaba Port for international and transit trade. In 1976, Free and Development Zone Corporate was established as an isolated government agency. Up to 2012, there has been 6 free zones across Jordan. To pursue a wider space for investment and development, the corporate and another company merged to be Jordan Free and Development Zone Group in 2016 and established an investment agency of the Jordan Government at the free zones and development zones. SRP will introduce China’s advanced technologies through China-Arab Cross-Border Technology Transfer Platform. Doqm is a new world-class commercial port of strategic significance in Arab and on Indian Ocean. The depth of water in Doqm is 18m. The length of wharf under the first-phase project is 2.25km, with 8 berths for commercial use, available for container ships, common freighters and bulk carriers. Doqm is subject to the administration of a joint venture company established by Oman government and Antwerp Port Group, where top advanced technology and administration model are adopted to improve work efficiency and reduce operating cost. Established in 2006 with a registered capital of $37 million, Aqaba National Real Estate Projects Company (ANREPCO) is a private shareholding company and is jointly established by Aqaba Development Corporation (ADC) of Jordan and National Real Estate Company (NREC) of Kuwait. ANREPCO mainly operates its business in Aqaba Special Economic Zone (ASEZ) and is responsible for developing real estate and logistic projects with a total area of 2 million m². As the national-level, international and comprehensive expo, China-Arab States Expo was approved by the State Council and co-sponsored by Ministry of Commerce of the People's Republic of China, China Council for the Promotion of International Trade and Government of Ningxia Hui Autonomous Region, focusing on China and the Arab world while opening to the entire world. The China-Arab States Expo covers five main aspects, namely, merchandise trade, service trade, technological cooperation, investment finance and cultural and educational tourism. The purpose of the China-Arab States Expo is to create a high-end forum for the cooperation in the aspects of agriculture, finance, energy and chemical industry, new technology, and the cultural and educational tourism and a professional exhibition and communication event so as to promote the practical cooperation between China and the Arab world and establish a global open platform together. The China-Arab States Expo 2015 was held successfully in Yinchuan in September. The Comprehensive Bonded Zone is a special open area with the highest level of openness, the most preferential policies, the most complete functions and the most simplified procedures at present in China. The establishment of Yinchuan comprehensive bonded zone in Ningxia is our national strategy, which has profound significance in the aspects of perfecting our layout of opening to the outside world, building a new pattern of inland open economy facing to the Arab world and worldwide Islamic regions, further expanding the comprehensive economic and trade cooperation with Arab countries, opening inland areas wider to the outside world and promoting the economic and social development of Yinchuan and even Ningxia as a whole. Ningxia Branch of China Telecom is the major driving force in the construction of information-based society of Ningxia Hui Autonomous Region, with the major business of comprehensive information services including fixed telephone, mobile communications, internet access and application and so on and so forth. Achievement Transformation Collaborative Working Committee, China High-Tech Industrialization Research Association is a project cooperation enterprise dealing in product (achievement) identification, strategy research on technology development, consulting service on national scientific and technological project application. SRP will cooperate with the center to provide services including the advanced technology identification for China’s enterprises, evaluation system certification and the corresponding services. The legal entity of this project is Tsinghua University with the co-construction units and cooperators including Alibaba (a leading global online shopping platform), www.mysteel.com (a bulk commodity trading website ranking first in China), www.Dhgate.com (an international trading website ranking first in China), suning (a top-ranking consumers e-commerce website in China), a top-ranking trade circulation enterprise in China, Fudan University, Beijing University of Aeronautics and Astronautics, Shandong University and so on and so forth. National Engineering Laboratory of E-commerce Technologies of Tsinghua University works between the government and enterprises, serving relevant government departments and enterprises based on the non-profit research and service organization constructed by Tsinghua University and the co-construction partners. What's more, the laboratory implements the director's responsibility system under the leadership of the Council, and has a number of research centers or research institutes. As the largest self-run e-commerce enterprise in China, JD.com recorded a GMV of USD 71.4 billion (RMB 462.7 billion) and net revenues of USD 28.0 billion (RMB 181.3 billion) in 2015, the latter representing an increase of 58% from the year before. It went public on the NASDAQ Stock Market, becoming the first comprehensive e-commerce platform in China to go public in America and one of the top ten Internet companies around the world. SRP enjoys good cooperation with JD.com in its self-running business, JD Worldwide, JD crowd-funding, etc. As the largest and well-known chain enterprise of electronic products in Kazakhstan, Alser has opened over 110 storefronts in more than 52 cities after 20 years of development. Alser’s products, either of famous international brands or self-own brands, have won the favor of consumers. Alser has made a strategic adjustment and aims to become the largest e-commerce enterprise in Kazakhstan and the Central Asia at large. SRP has achieved strategic cooperation with Alser, which will integrate the superior resources of the two sides to the largest possible extent, optimize the supply chain system and realize platform connection so as to achieve the landing of cross-border B2B platform overseas. Babytree.com is the largest parenting e-commerce website in China with the widest attraction. Targeting at 6000 parent Internet users and the pregnant, babies and children with a market size of $54,000,000,000, babytree.com provides a wide range of quality online and offline services. Based on the abundant resources of Silubuy.cn, SRP provides generation delivery service for babytree.com. Established in 1997 with its headquarter in Shenzhen, YHGlobal is a global innovative supply chain management enterprise. Having led the development of modern logistics in China, it started its business in e-commerce logistics and has developed to be a third-party supply chain management enterprise which is devoted to “B2B + B2C + Supply Chain Finance” and offers comprehensive supply chain solutions and services. SRP cooperates with YHGlobal and enjoys customs declaration and clearance, warehousing and logistics, and delivery services from YHGlobal. BOC, short for Bank of China Limited, is one of the five major state-owned commercial banks. It headquartered at No.1, Fuxingmen Inner Street, Beijing. Agricultural Bank of China (ABC), listed on the Shanghai Stock Exchange and the Hong Kong Stock Exchange, is one of the five largest banks in China. First established in 1951 and with its head office in Beijing, ABC is the first state-owned commercial bank of China and plays a major part in China's financial system. Headquartered in Shanghai, Bank of Communications (BOCOM) is a large state-owned shareholding commercial bank with a long history, well-defined development strategy, perfected corporate governance, advance operation and quality banking services. Islamic Food Research Center (IFRC) is a branch of Bathera Lagenda Sdn. Bhd. (BLSB). BLSB is a company providing professional services to assist enterprises in obtaining halal certification for various products, food products and raw-food materials. 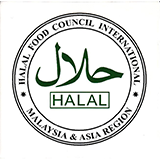 It has obtained the official license of Jabatan Kemajuan Islam Malaysia (JAKIM) certifying domestic products as well as that of Islamic Food and Nutrition Council of America (IFANCA, headquartered at Chicago, the United States) certifying imported products. www.ehalfresh.com, the only halal industry entity in China, is the largest and most professional e-commerce platform for Muslim food domestically.